Both baby Taks with long FL. Is there any real life difference for visual? Both are exquisite. But you only realize the exacting perfection of the FOA-Q over the FS-Q if you buy one first and try the other after. You'll see the FOA-Q superiority in short order. Ergonomically, the FS is lighter and shorter so it tolerates a less robust mount. On the other hand the FOA-60Q better accommodates 2" optics and has greater focus range. I have both and one doesn't obviate the other, but FOQ-60Q is perfection. The FS-60Q is more compact and delivers slightly short of that perfection. Can't go wrong with either. With both together you have 60mm Nirvana covered; with either alone you will have 60mm results that are faultless subjectively. Edited by 213Cobra, 22 March 2019 - 09:32 AM. I only own the FOA60. But once you look through you have it and never give it away. The Q modul must be a small step better. I haven’t compared both but I think of the FOA-60Q as a special, “statement” scope from Takahashi. But how that might translate at the eyepiece is a good question. I would imagine you’d really have to put some time and effort into driving each to its limits on challenging targets in order to establish what separates them. It is not exactly what you asked but I've compared FS-60Q+1.6x extender (making it f/16) to FOA-60Q (f/15) side-by-side. I recently purchased the FS-60Q from our sponsor after selling my AT60ed. I have a 4 week wait before it arrives. I was looking at getting a smaller (read "less expensive") Tak but honestly, these two 60mm models really captivated me. 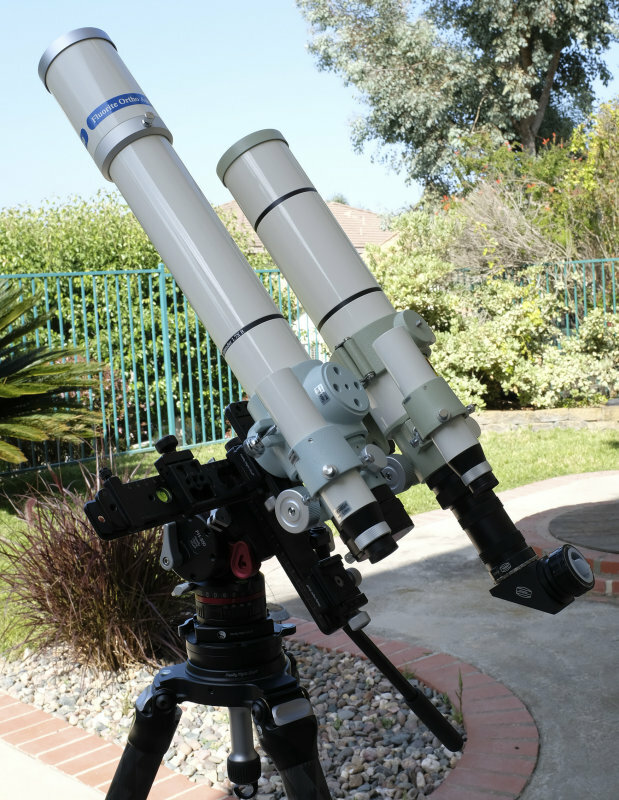 In the end the convertibility of the FS grabbed me in that I could have a fast and slow 60mm in one scope. Very much looking forward to getting this wonder! Despite being sure about the FOA-60 optically having the edge over the FS-60, I personally prefer and have the latter one with f/10 Extender-Q plus with f/4.25 Reducer-C-0.72x. This dual capability as fast wide-field astrograph as well as "selenograph" really thrills me, resulting in FS-60 being my most used and (restricting to this definition) therefore "best" scope which I probably ever had. Edited by Fomalhaut, 23 March 2019 - 07:26 AM.